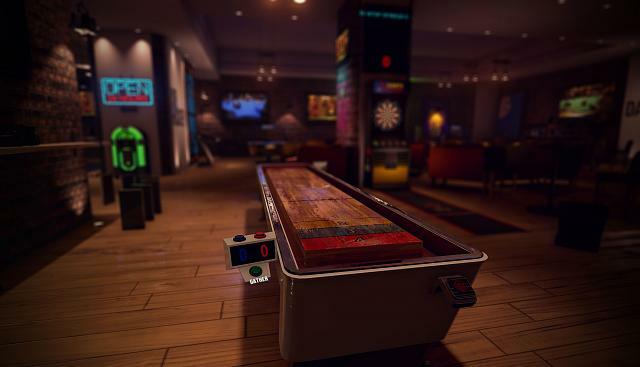 The guys that designed the great Pool Nation series of games put out their December update, changing the name of the game to Sports Bar VR in the process. The pool playing has stayed the same, but they put as much focus into the darts, toys, and "Skee-ball" as they have the pool. With this new update, you can play darts and "Skee-ball" online with tournament games, and they have added chess, shuffleboard, and checkers! Steam has this new version of the game on sale for 14.99 ($5 US off!). Check it out on steam here. Can't wait for the Daydream version! We are now playing classic physical games inside of a virtual reality headset. Thanks 2016.